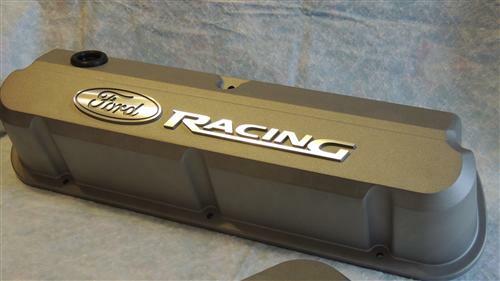 We no longer carry the 1979-85 Mustang Ford Racing Logo Slant Edge Valve Covers Gray 5.0. 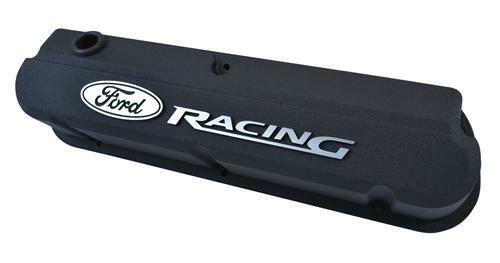 Check out 1979-1993 Mustang Valve Covers & Accessories for an updated selection. 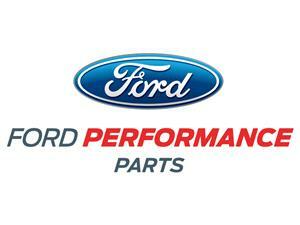 Make your engine bay pop with these Ford Racing Cast Aluminum Calve Covers! 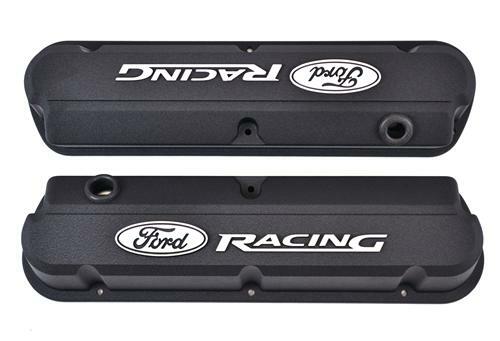 Turn some heads with these aggressive and modern Ford Racing Valve Covers. These Die-cast valve covers offer more internal clearance for larger valve-train applications. They feature a tall design and include a removable baffle, rubber grommets and the bolts needed for installation. 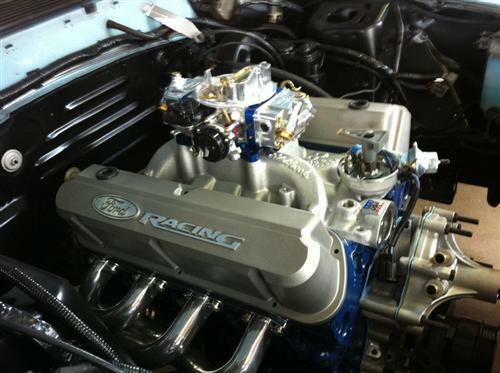 These valve covers feature a gray crinkle finish and are a great way to get a personalized look at a great price!